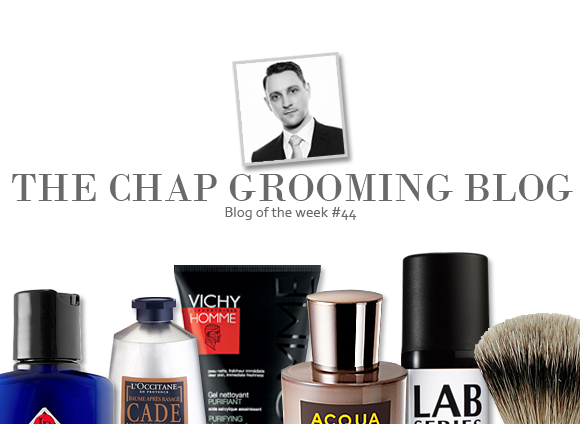 This week’s blog of the week goes out to Michael of The Chap Blog, an online space that specialises in all things men’s grooming. The Chap is a multifaceted blog that encompasses fashion, fragrance and skincare, along with some high profile interviews and giveaways. The Chap is a fab mix of editorial content and personal reviews, and Michael’s chatty style of writing remains consistent throughout. For those who are into the more graphic side of blogging, there are plenty of artfully taken photos to whet your appetite. My favourite post is Michael’s interview with prolific tattoo artist Lou Molloy, as it demonstrates just how diverse The Chap’s content is. Plus, any post that will introduce me to pictures such as that of the Rocketeer Sleeve will always have my seal of approval! Check out The Chap Blog for some really exceptional content – for boys and girls alike! This entry was posted on Friday, November 4th, 2011 at 9:47 am and is filed under Blog of the Week. You can follow any responses to this entry through the RSS 2.0 feed. You can skip to the end and leave a response. Pinging is currently not allowed.